As more business transactions take place online, customers need not be present to conduct business. Many companies are now recognizing that identity is an organization’s biggest vulnerability and the verification and protection of identity data or PII (personally identifiable information) is paramount. This is creating new challenges for companies to ensure they are doing business with legitimate individuals and to authenticate users appropriately. This task is especially complex for banks or financial institutions as they must meet strict KYC, AML and other such regulations. An overwhelming majority of North American companies – eCommerce and financial services organizations in particular – consider identity verification a top priority but don’t believe they do it well or have all the necessary tools for success. According to The State of Identity Verification Maturity in North America report, 93% of respondents stated that while identity verification is a priority, they struggle to overcome obstacles that prevent them from realizing its full benefits, with just 2% believing they are successful. So, if identity verification is a top priority, why aren’t more companies utilizing solutions? 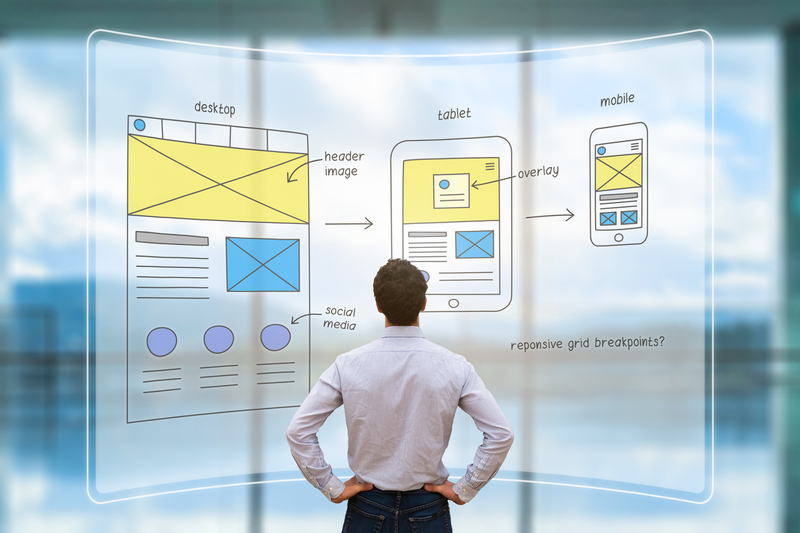 First, while organizations want to protect users and their PII, they are concerned about creating a frustrating or less than stellar user experience. Second, the IT skills and cybersecurity gap is a serious issue plaguing already overwhelmed IT teams who may lack the expertise to identify fake or synthetic IDs, especially given the sophistication of today’s fraudsters. Lastly, modern identity verification solutions leverage the latest technologies – including machine learning and AI – that integrate with various web frameworks. Many organizations either don’t have access to or the familiarity with this type of technology. Acuant helps organizations build trust by providing a full suite of solutions that allow businesses to address their appropriate level of risk by providing companies with a layered approach utilizing a continuum of document authentication, facial recognition, geo-location, chip inspection etc. Our next gen Identity Platform is powered by the latest tech (AI with human assisted machine learning) to boast the highest speed and accuracy rates- and is anchored by establishing the authenticity of an identity document (remotely or on premise). 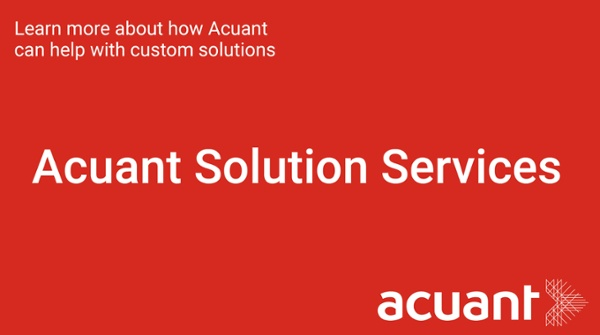 And when it comes to the pain points of integration and implementation that are barriers to many businesses, Acuant Solution Services, is there to get you up in running. With services to provide fully customizable identity verification, and ideal for companies with fewer technical resources or the need for managed services, Acuant Solution Services provide a fully customizable experience throughout every stage of the product development life cycle with easy API for integration into any third-party iOS, Android, Windows, Xamarin or HTML5 application. Experience the mobile app idScan® Go for Android and iPhone, to see how the solution conducts real time ID and biometric verification for secure transactions to instantly prevent fraud.